Formulated from all natural herbal extracts, olive oil, and beeswax, Vetisse Arnica Assist Ointment is especially useful to help with bruises and sprains as well as rheumatic and neuralgic pain, and even hemorrhoids. Many of the extracts found in this formula were traditionally used to stimulate and promote immune functioning. 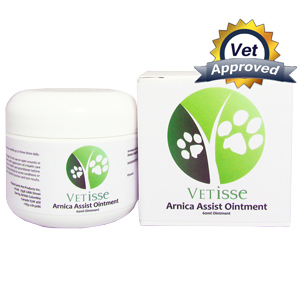 Vetisse Arnica Assist Ointment supports circulation to injured, painful, or inflamed paws so your dog can heal faster. Do not apply Arnica Assist Ointment on open wounds or broken skin as internal exposure can cause adverse effects. Except for homeopathic solutions, Arnica Montana should never be consumed internally. 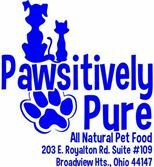 Do not use Arnica Assist Ointment on your pet if they are pregnant or lactating. Stop using Arnica Assist Ointment if your pet experiences an allergic reaction such as a skin rash to this remedy. Consult a health care professional before combining Arnica Assist Ointment with any other medications, or supplements.